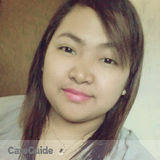 I am Ana from Phillipines 23 yrs old and Im looking for a job thats fits in me. Im honest loves to take care of others. I have expirience in taking take of an old person because i used to took care of my granny when she was sick and now that shes gone i think i need to grow more work hard for my self and family and go out in my comfort zone. pls feel free to contact me if u need a house taker need to take care of ur pets. im willing to learn and want to try new things in my life. godbless..